The second smallest of the Buddhist people groups profiled in this book are the two hundred Lao Ti people of Ratchaburi Province in western Thailand. They inhabit just two villages—Ban Goh and Nong Ban Gaim in the Chom Bung District not far from Thailand's border with Myanmar. 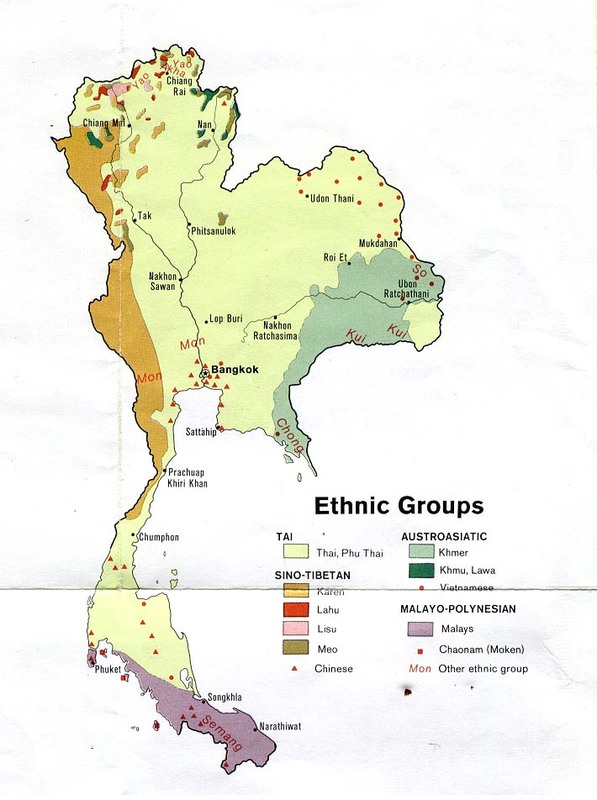 They share their communities with families from other ethnicities, especially the Central Thai, Northern Thai and Isan. Despite their small numbers, the Lao Ti were first studied by the anthropologist Erik Seidenfaden in 1939. Although they now live far from Laos, the Lao Ti say their ancestors came from Vientiane in Laos, where they were ox cart drivers 'who transported goods and materials across the countryside. Because of this itinerant occupation, their group name was derived from the Lao term ti meaning pai nai in Thai or 'where are you going?' in English.' Elderly Lao Ti still recall the oral history of their people. They say their forefathers were slaves of the Lao rulers in the mid-1800s when Vietnamese and Siamese armies laid claim to Laos. During the reign of the great Thai King Chulalongkorn, the Lao Ti were captured by the Siamese army and taken as prisoners of war to their present location in Ratchaburi Province in Thailand. Many ethnic groups in Southeast Asia observe the practice of the groom paying a bride price before a wedding can take place, but the traditional bride price paid by the Lao Ti was unique and reflected their history. A young Lao Ti man had to give an ox cart, one pair of draft oxen and 60 baht to his parents-in-law. Elderly Lao Ti people can still remember doing this when they were younger, but the custom has gradually died out. In fact, these days the Lao Ti have sold almost all of their traditional carts (which were wooden and made with huge wheels) to be garden decorations in restaurants and private residences. 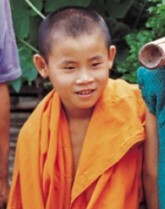 The Lao Ti say that every single member of their small tribe is a Buddhist. Parents consider it a great honour to dedicate their son to serve in the temple as a monk or novice. Unlike many Buddhist groups in Thailand, the Lao Ti say 'they do not believe in any of the supernatural spirits inhabiting the surroundings. Because of their disbelief, they neither have shamans or religious practitioners to please these spirits nor do they make any sacrifices. View Lao Ti in all countries. Location in Country: They inhabit just two villages (in Ratchaburi Province in western Thailand), Ban Goh and Nong Ban Gaim in the Chom Bung District.